At Hawk Chrysler Dodge Jeep Ram near Chicago, Illinois, we know as well as anyone that even with the ruggedness and reliability that comes with owning an American-made Dodge vehicle, maintenance work is needed to keep you on the road. Thanks to our state-of-the-art automotive service center, that'll never be an issue for you. From our team of manufacturer-certified mechanics to our wide selection of Mopar and genuine Dodge parts, tools and accessories, we've got you covered. Make your way to our Dodge service center today and we'll be happy to show you just how much of a difference we can make. Service your Dodge vehicle at your trusted Chicago, IL Dodge dealership. Regularly scheduled maintenance can not only help you stay safe, but it can also extend the life of your Dodge vehicle, whether you're commuting in an out of Chicago, IL each day or simply using your car for weekend getaways. 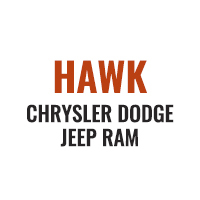 At Hawk Chrysler Dodge Jeep Ram, we're capable of handling your next oil change, transmission repair, or comprehensive brake service. Whether your auto repair needs stem from a collision or normal wear and tear, our mechanics will be there to help. Let us help keep your Dodge warranty intact by scheduling an appointment with us today. Don't stress about your next Dodge service appointment. Making that appointment at Hawk Chrysler Dodge Jeep Ram couldn't be easier. Simply give us a call, stop by our dealership near Chicago, IL, or make an appointment online right from the comfort of your own home. We look forward to serving you!